Awe inspiring, Blue Lace Agate Quartz! The solid argentium and sterling silver 'Blue Crystal Lace' Pendant has been entirely hand fabricated. The pendant features a bezel set 50 x 21mm blue lace agate accented by a genuine, 7mm, facetted, bezel set paradise blue Topaz gem. The 'Blue Crystal Lace' Pendant measures 80mm x 30mm and weighs 17.2 grams. 'Blue Crystal Lace' Pendant $ 359. The 'blue crystal lace' pendant is pictured hanging on a solid Sterling Silver, 16 inch Round Snake Link Chain fastened with a solid sterling silver lobster clasp. 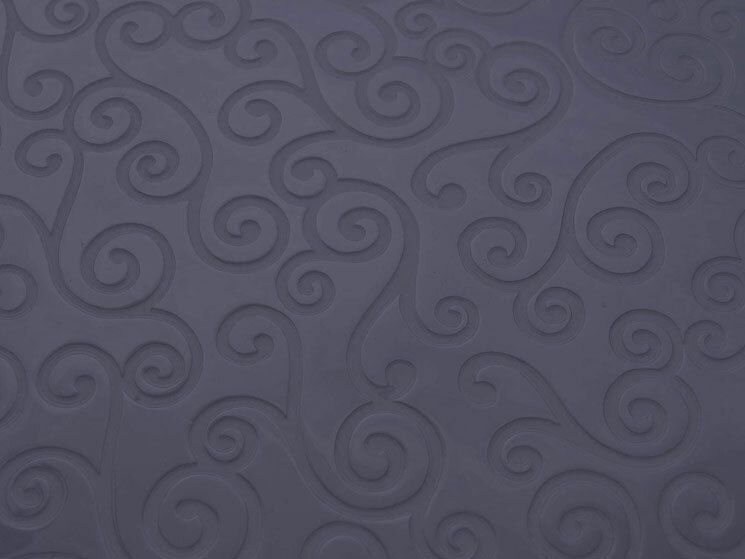 The Snake Link Chain can be purchased separately. 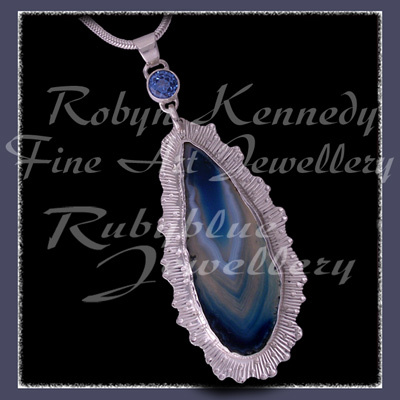 If you would like to commission a Blue Lace Agate Pendant of your own ... please contact us by e-mail or phone at Rubyblue Jewelry. Sterling Silver Round Snake Link Chain $ 64. All of the jewelry showcased in the 'one-of-a-kind' collection are artist originals. To purchase the 'Blue Crystal Lace' Agate and Paradise Blue Topaz Pendant without using PayPal, please contact us by e-mail or phone at Rubyblue Jewellery.